The originally mounted tires ran roughly from the beginning and caused strong vibrations and driving noises. After only 30,000 km of wear and tear they were worn and no longer passed through the TÜV. It was clear to us that we do not want these tires any more. So we wrote to Michelin, described the situation and asked if they had suitable tires for us. We came into conversation, talked about our project and came to great interest. After a joint appointment was made, we went to Karlsruhe in the Michelin factory. Already at our arrival we met a lot of interested employees who were excited to see an expedition truck on site. Old tires down, new MICHELIN X® FORCETM XZL + in the dimension 14.00 R20 installed. This type of tire is the winner of the Rallye Dakar 2015, a report can be found here. With photoshootings and a lot of useful knowhow from the Michelin specialists the whole action took place until late evening. Once, all tires were mounted, the Zetros was weighed, of course each wheel separately. The optimum air pressure for all different terrains and each wheel was set individually. 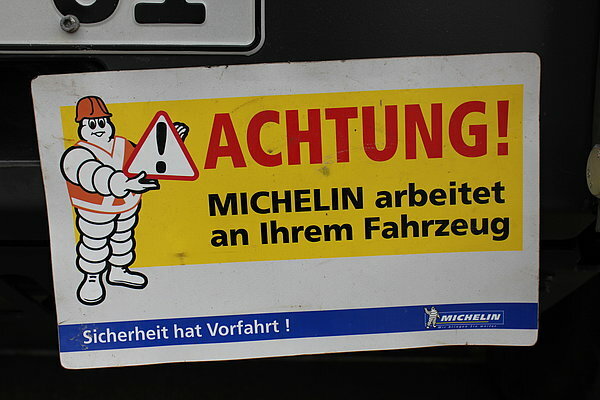 Certainly, we will track the tire project together with Michelin. The results may also be useful for further development. 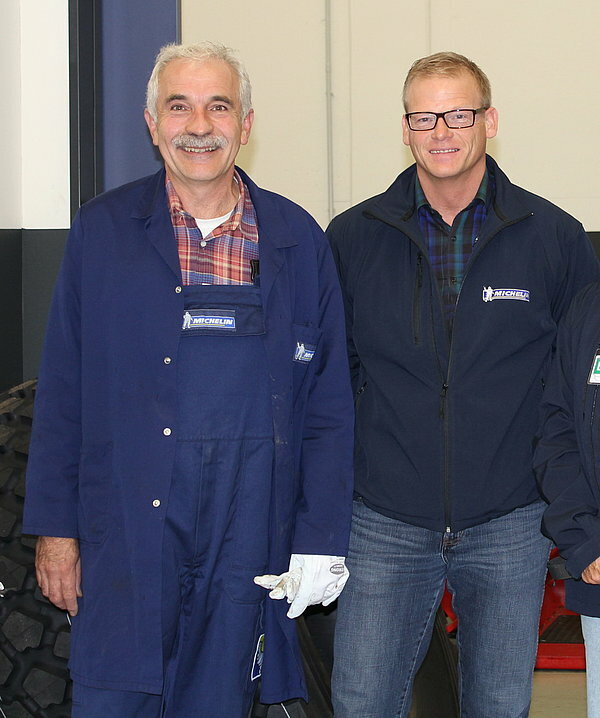 The day at Michelin was so educational and very exciting. We are really happy about this cooperation. Many thanks to Simone, Nadja, Thilo, Edmund and the entire Michelin team for this great day and the future cooperation, which allows us to go deep into the topic of tires.